... is to provide the highest quality real estate services to our customers and clients throughout the heart of Oregon. To help us accomplish this mission, we believe in affiliating sales associates with high, ethical standards and providing them with the appropriate training, tools and support to encourage a high level of professionalism in our business. This simple philosophy has made us a market leader for the last 10 years. Homeowners choose Berkshire Hathaway HomeServices Real Estate Professionals to sell their home more than any other company in our market area. 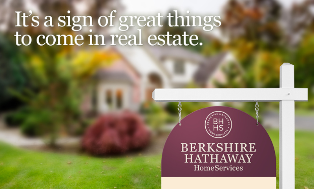 The advantages of choosing Berkshire Hathaway HomeServices Real Estate Professionals include state-of-the-art technology, financing, marketing and performance. Put these advantages to work for you in your real estate transactions.